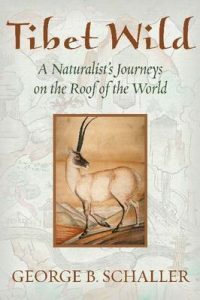 Tibet wild: a naturalist’s journeys on the roof of the world. George Schaller has spent much of his life traversing wild and isolated places in his quest to understand and conserve threatened species – from mountain gorillas in the Virunga to snow leopards in the Himalaya. Throughout his career, Schaller has spent more time in Tibet than anywhere else, devoting over thirty years to the wildlife, culture, and landscapes that captured his heart. This book is Schaller’s account of three decades of exploration in the most remote stretches of Tibet. As human development in the region accelerated, Schaller watched the clash between wildlife and people become more common – and more destructive. What began as a purely scientific endeavour became a mission: to work with local communities, regional leaders, and national governments to protect the ecological richness and culture of the Tibetan Plateau. Whether tracking brown bears, penning fables about the tiny pika, or promoting a conservation preserve that spans four nations, Schaller has pursued his goal with persistence and good humour. This book is an intimate journey through the wilderness of Tibet, guided by the careful gaze and unwavering passion of a life-long naturalist. Also available in softcover [stock id 36850]. Artist/Author: Ng, Peter, Richard T. Corlett, and Hugh T. W. Tan. This is a magnificently illustrated and superbly written guide to the unique and simply astounding biodiversity of Singapore. Singapore is home to an astounding diversity of life – from the bizarre looking Antlion to the engagingly named Slipper Limpet, and from the endangered Banded Leaf Monkey to the ocean dwelling Zebra Shark. 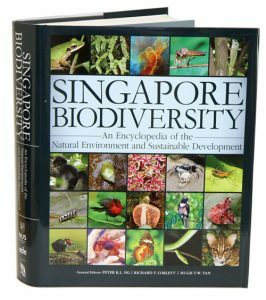 This superbly illustrated volume – written by the foremost authorities on the natural environment of Singapore and based on the latest data and fieldwork – features 23 essays exploring the concepts of biodiversity, ecosystems, and sustainability, and describes more than 40,000 non-microbial species that make up the island’s unique biodiversity. With its more than 2,000 full-colour photographs, illustrations and maps, engaging and informative text, this is a must-have volume for anyone interested in the astonishing variety of wildlife found in Singapore. Wendy Hutton, a New Zealand travel and food writer who has lived in Southeast Asia since 1967, and who has been based in Sabah since 1989. 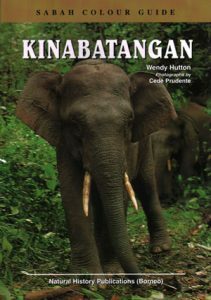 She has written many other guides, books and magazine articles on Sabah, Sarawak and other countries in the region, and authored Natural History Publication’s Discovering Sabah. 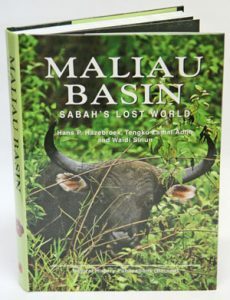 Maliau Basin: Sabah’s lost world. Artist/Author: Hazebroek, Hans P. et al. The Maliau Basin, Sabah’s Lost World celebrates the many natural wonders in one of the most captivating and mysteriously beautiful protected areas in the World. The Basin has a spectacular crater-like form with a mountainous rim and includes magnificent rain forests, wild rivers, splendid waterfalls and a cool highland plateau. These rain forests inspire awe by their immense richness in plant and animal life, and a sense of history spanning millions of years. Exceptionally rare, possibly even unique, plant communities occur in Maliau’s montane forests. Although scientific exploration has only recently begun, Maliau’s importance in terms of protecting a tremendous range of ecosystems with innumerable species of plants and animals, many of which are rare and endangered elsewhere, has already become evident. Through spectacular photographs and an excellent accompanying text, this beautiful and informative book fosters a deeper understanding of many of nature’s splendid wonders. The book is an important guide to Maliau’s plant and animal life, natural communities and geology and will greatly enhance the experience of both explorers-to-be and nature lovers at large. An exciting guide to Malaysia’s finest wildlife reserves. 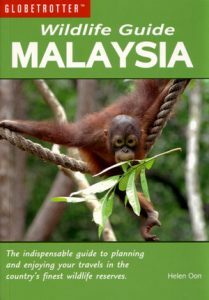 In addition to offering advice on planning your trip and discussing available options as well as park etiquette, the guide offers an overview of Malaysia’s natural environment and wildlife, including an informative gallery of species. Malaysia’s ten best parks or groupings of parks are profiled, which includes an overview of the featured park, a brief history, a description by area of the park, and special features to look out for. The parks all offer breath-taking scenic beauty, game viewing, a range of accommodation and facilities as well as tours and walks or hikes. Each park profile also includes: panels on matters of special interest; scenic and wildlife photographs; detailed maps showing biomes, routes, camps, picnic spots, scenic spots, places to see, etc; tables showing the range of accommodation, activities and facilities available; what to look out for at which time of year; game-viewing checklist; gate opening- and closing- times; and contact details of featured park, for bookings. China is home to a remarkable variety of unusual wildlife, many of which are rare and threatened species under conservation. This new wildlife guide provides a colourful introduction to the species of a country that is beginning to emerge as a fascinating destination for natural history enthusiasts. Covers all major animal groups and key sites for observation. 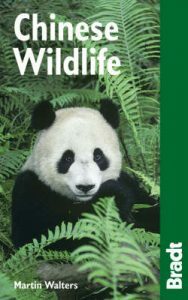 Interesting features on medicinal plants, rare cranes and, the Giant panda supplement animal and habitat listings. Artist/Author: Baker, Nick and Kelvin Lim. This is the most comprehensive account of Singapore’s wild animals ever produced in one volume. Compiled by a dedicated and experienced group of local wildlife experts within the Nature Society of Singapore; almost all terrestrial vertebrates currently occurring are described and illustrated in brilliant habitat photographs taken on location: 38 mammals, 50 snakes and 37 other reptiles, 25 frogs and toads, and 30 freshwater fishes. 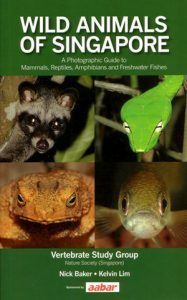 There are additional chapters on how and where to find wildlife, as well as checklists of all species ever recorded in Singapore. 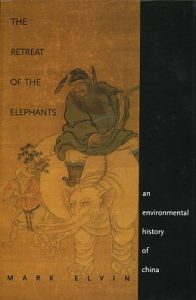 The retreat of the elephants: an environmental history of China. This is the first environmental history of China during the three thousand years for which there are written records. It is also a treasure trove of literary, political, aesthetic, scientific, and religious sources, which allow the reader direct access to the views and feelings of the Chinese people toward their environment and their landscape. Also available in hardcover [stock id 19818]. 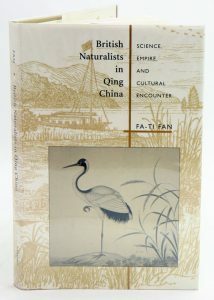 British naturalist in Qing China: science, empire, and cultural encounter.